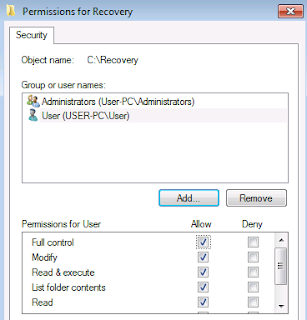 Microsoft has developed a new version of ERD Commander from Winternals, which Microsoft acquired a while ago. 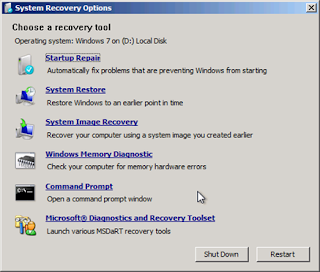 The new version is called Diagnostic and Recovery Toolset, or DaRT for short. DaRT 6.5 is a part of Microsoft Desktop Optimization Pack (available to customers with an active Software Assurance license). 1. At the PC, log in as user who is the member of Administrators group. 3. 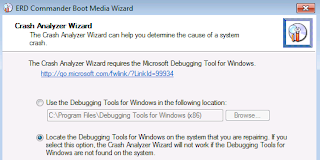 Click "Microsoft Diagnostics and Recovery Toolset". ﻿4. Click "Install DaRt 6.5 (32-bit)". Remark: Preparing the DaRT for Windows Server 2008 R2, you have to select "Install DaRT 6.5 (64-bit). 1. 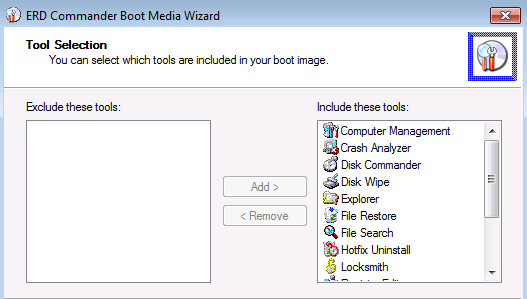 At the PC, click "Start > All Programs > Microsoft Diagnostics and Recovery Toolset > ERD Commander Boot". 2. At welcome screen, click "Next". 3. Insert and navigate to Windows 7 enterprise installation disk. 5. Select or exclude the tools that will be included in your ﻿ERD image, click "Next". 6. 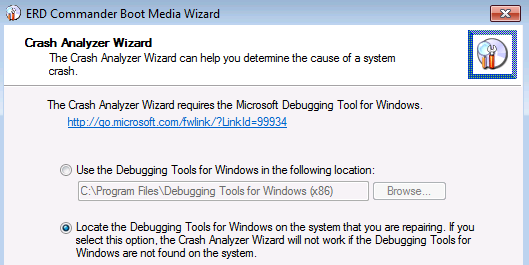 Select "Locate the Debugging Tools...", click "Next". ﻿7. At "Standalone System Sweeper Definition Download" screen, select "Yes, download the latest definitions". 9. 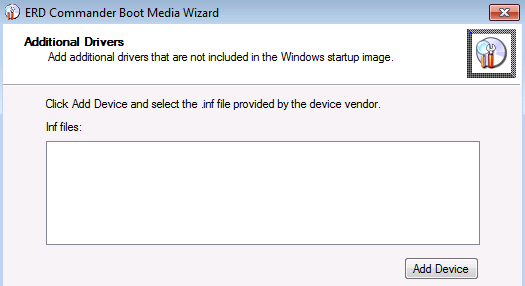 If you want to add additional drivers, click "Add Device". 11. Click "Next" to create a ISO file. 12. 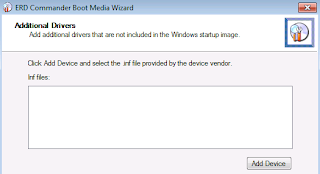 If you want to burn the ISO into a media set the wizard to your media burner, click "Next"﻿ to proceed. 1. At the PC, launch Windows Explorer. 2. Press [ALT], select "Tools > Folder options". 4. 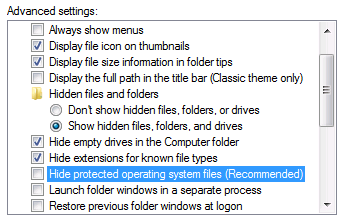 Select "Show hidden files, folders or drivers". 5. Un-check "Hide protected operating system files (Recommended)". 7. At Windows Explorer, navigate to C:\. 8. Right-click "Recovery", select "Properties". 12. Add the current user and assign Full control permission. 14. 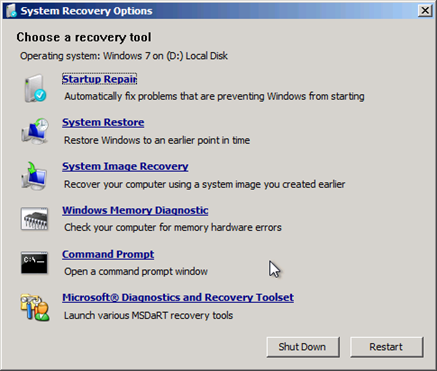 Mount the Microsoft Diagnostic and Recovery Toolset image ISO file. 15. Navigate to D:\Sources, copy the "boot.wim" file. Remark: Assuming that D:\ is the virutal CD-Rom drive. 16. 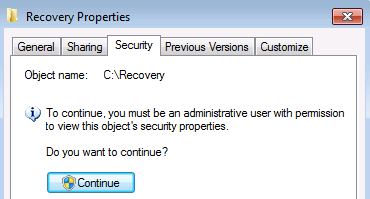 Navigate to "C:\Recovery\<UID>\", paste the file in here. 17. Delete the "Winre.wim" file and rename "boot.wim" to "Winre.wim". Figure 12: Replace the original "Winre.wim"
18. At PC, restart the computer and boot in "Repair Your Computer"﻿. ﻿DaRT has been added to the Windows RE menu.